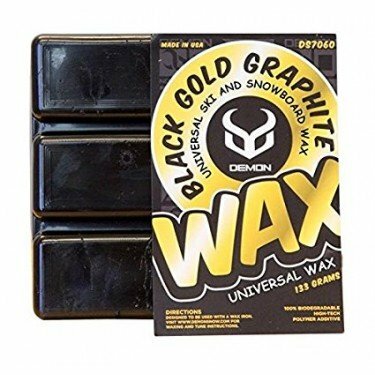 The Demon Black Gold Graphite wax is a high-performance blend of graphite and special additives to ensure you're the first one down the mountain. Scented with a black licorice flavor. Grab the Demon iron, scrapper and buff pad and give your ride the ultimate speed wax. 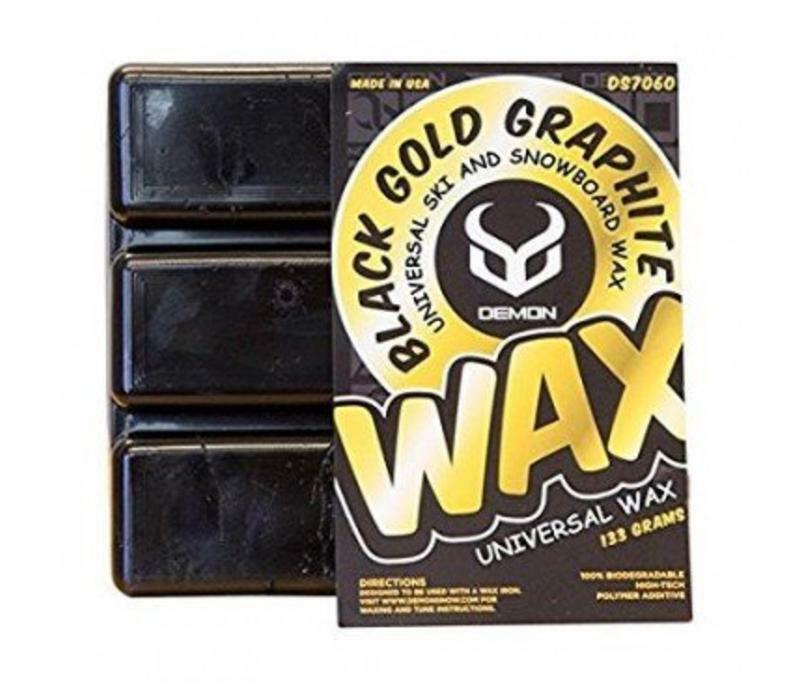 The Demon Black Gold Graphite wax is a high-performance blend of Graphite and special additives. See our board and ski tuning instruction videos below! Use in all snow conditions and temps. Get the Demon Mini Iron and melt the wax onto your base for a screaming fast ride.